Hotel Culture Villa Capodimonte, Naples. 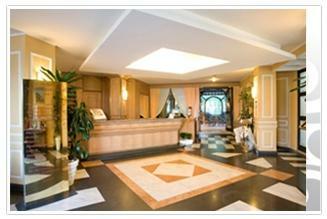 Culture Villa Capodimonte Hotel Naples. The Culture Hotel Villa Capodimonte was built on 1995 in Naples and is situated on the same hill where King Charled III of Borbone built the wonderful Capodimonte Royal Palace (18th century) which is immersed in a stunning botanic park that includes today a famous Art Gallery with beautiful art pieces. The facility is surrounded by historical and important buildings: it is surmounted by the antique Palasciano Tower (19th century) that once it was the Florentine style residence of the founder of the Red Cross. Nearby the hotel rises also the Astronomic Observatory (19th century) established by G. Murat which today is in part organized as a museum of antique equipment. Our hotel boasts a strategic position: the historical city centre of Naples is located few steps far, the exit of the highway is at 900 metres and the Airport at just 7 km. For this reason the Hotel Villa Capodimonte is the ideal choice both for those who travel for business and for leisure. Inside the Culture Hotel Villa Capodimonte, our guests will be welcomed in one of the 55 comfortable rooms and they will have at disposal several services and comforts such as a spacious restaurant lounge, an American bar, solarium, Internet point, free parking space and garage. Our facility is ani deal place for those who have to organize congresses and business meetings thanks its fully equipped meeting point and its 5 congress rooms which can host maximum 120 persons. The hotel offers its guests free parking facilities and a complimentary shuttle service to the historic center.